“Yet again, ISIS violated the sanctity of Christianity in the Middle East and in Syria in particular. This time, the target was the Monastery of Mar Elian [St. Julian of the East] in the town of Qaryatain, 68 miles northeast of Damascus. 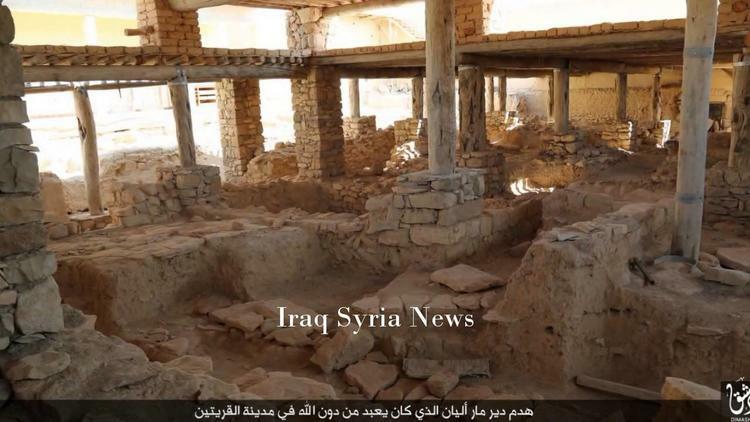 ISIS posted photos on social media networking sites showing the desecration of the monastery, exhuming the remains of Saint Elian who was killed by Roman soldiers in 285 A.D. Other photos show ISIS militants adulterating this holy place as bulldozers were demolishing the compound.